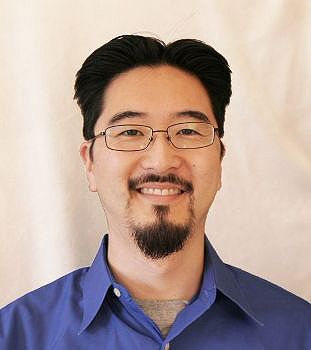 Dr. Chung is an Assistant Professor of Physiology with a broad training in physiology and biomechanics. His Ph.D. thesis analyzed human ultrasound and pressure-volume data to provide improved quantification of cardiac diastolic function. The models used help show the balance between myocardial stiffness and crossbridge relaxation. He also has training in molecular biology and integrative physiology, using mouse and rat models to investigate how elastic proteins (titin, extracellular matrix) and crossbridges modify diastolic function. I will be accepting new MS and PhD students for the 2019-20 academic year. We are investigating clinically translatable and basic science problems in diastolic function, using integrative muscle physiology methods. Our goals are to 1) determine targets for pharmacologic improvement of cardiac performance and/or 2) determine improved non-invasive measures of cardiac function to assist in care. We are investigating an American Heart Association funded project to understand the how the heart relaxes after contraction. Our data suggests that quickly stretching a muscle that is undergoing deactivation (reduced calcium) can accelerate relaxation. We are investigating the molecular mechanisms that might make a heart relax faster- including changing the passive stiffness and/or modifying myofilament kinetics. The project primarily utilizes intact myocyte, intact myofiber (trabeculae), and in vivo measurements of force (pressure) and muscle length. These data are supported by biochemical measurements of muscle proteins. We aim to establish how elastic proteins and myofilament regulatory proteins modify the relationship between myocardial stretch and relaxation. We are establishing a research project to investigate cardiac structure using ultrasound. We aim to measure cardiac fiber structure and orientation in rodents using ultrasound- first in vitro, then in vivo. We also collaborate to advance tissue and vascular characterization to improve non-invasive measurements of physical properties of organs, including fibrosis. 2007 Ph.D. - Washington University in St Louis; Physics, Mentor: Sandor J Kovacs, M.D., Ph.D.